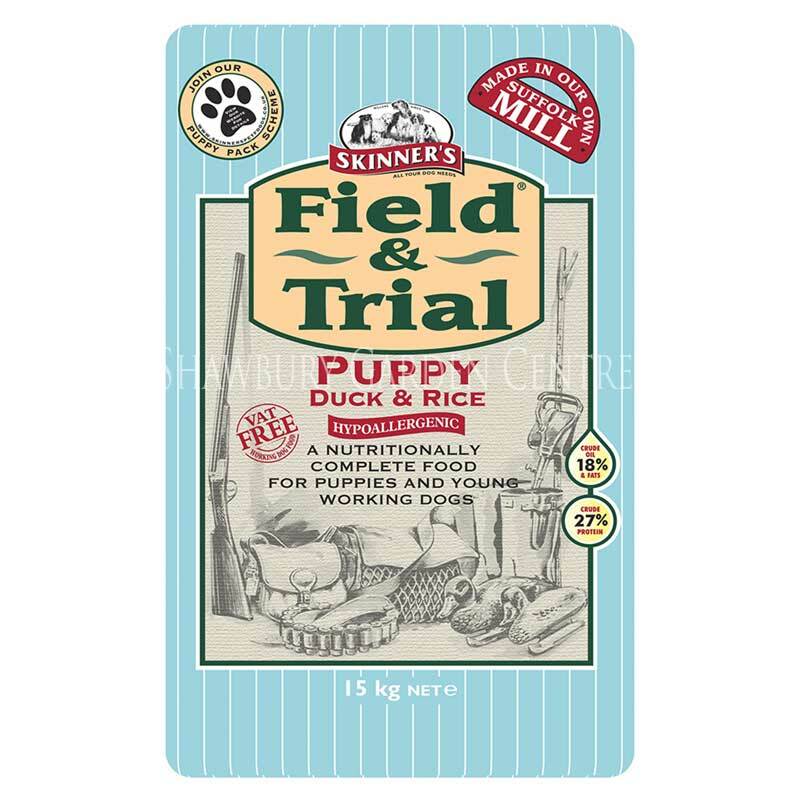 Contains Joint Aid - a combination of Glucosamine, Chondroitin Collagen & MSM for your dog's joint health. 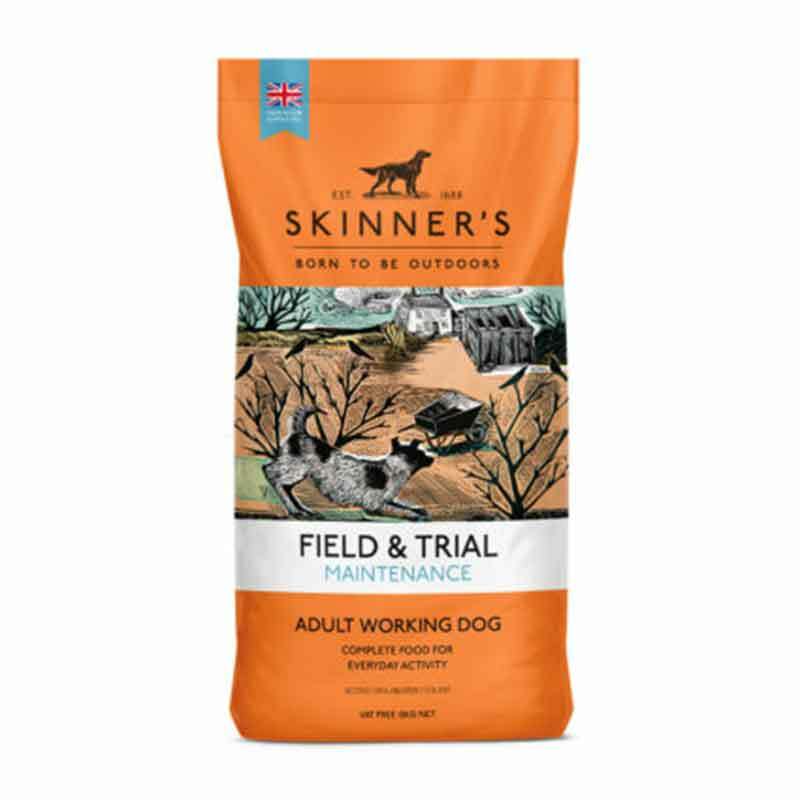 Maintenance + has been specially formulated to include joint aid (Glucosamine, Chondroitin Collagen & MSM) for dogs which can help maintain healthy joints and flexibility of movement throughout the life of your dog. 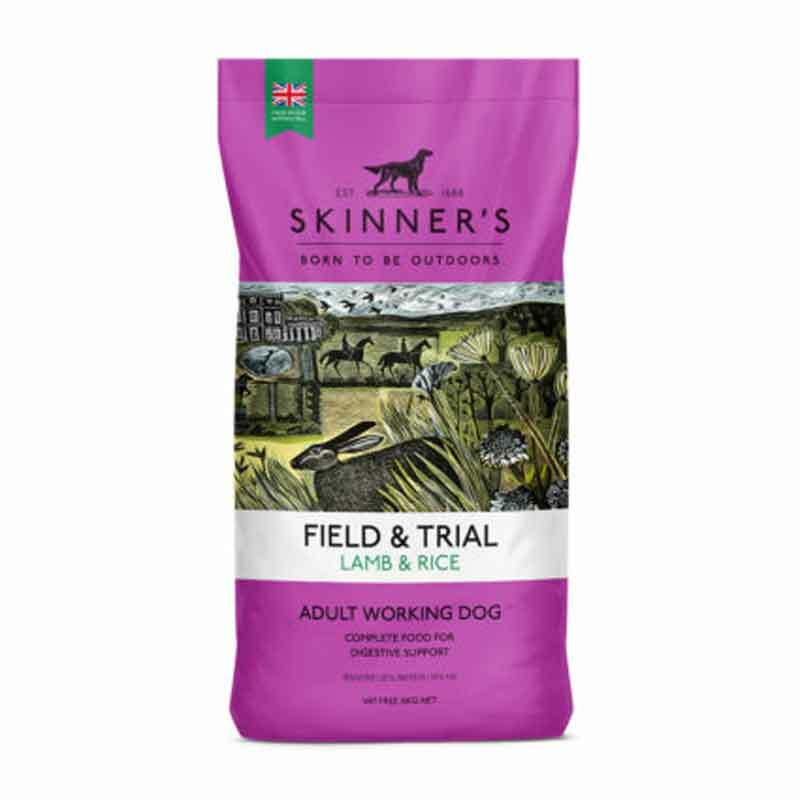 It is suitable for all breeds of adult dogs and is particularly recommend to benefit older working dogs. 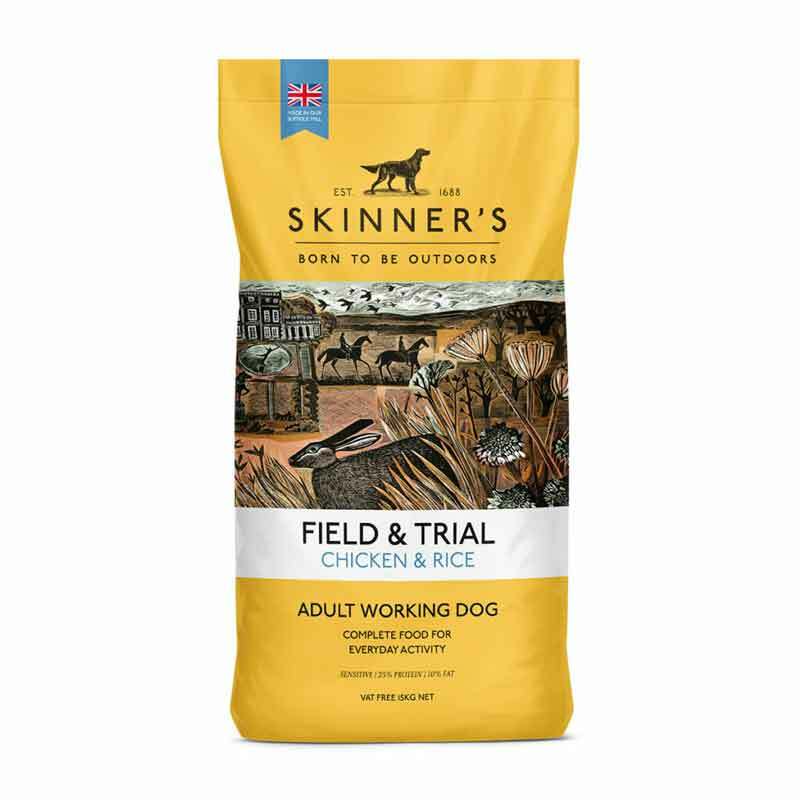 It contains easily digestible chicken providing the correct level of protein for the maintenance of strong muscles, teeth and bones. 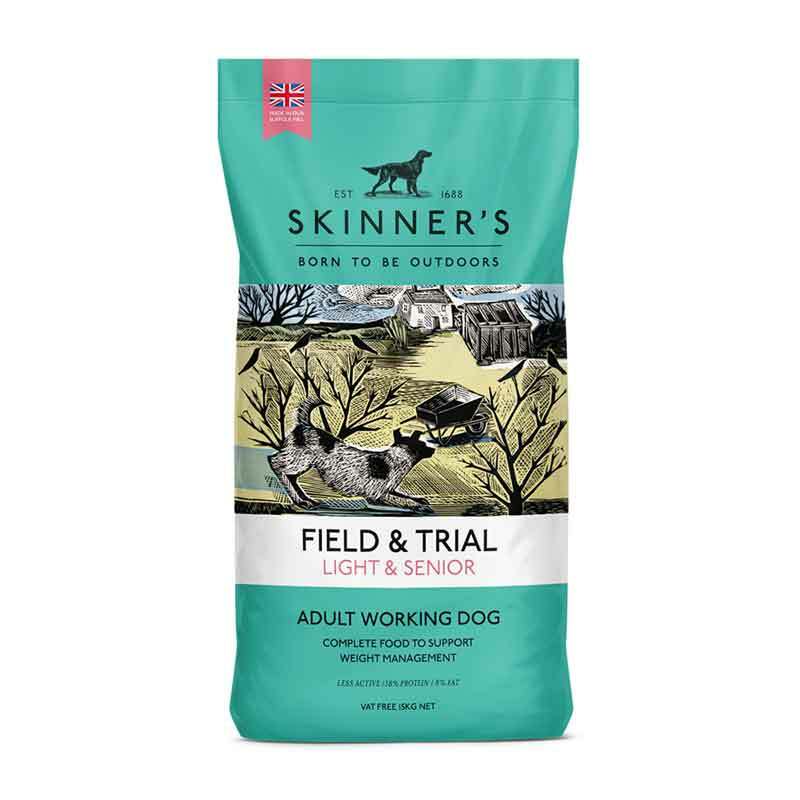 Specially formulated to meet the needs of working dogs undertaking light work or at rest during the closed season and for older working dogs that can benefit from the inclusion of joint aid for dogs. 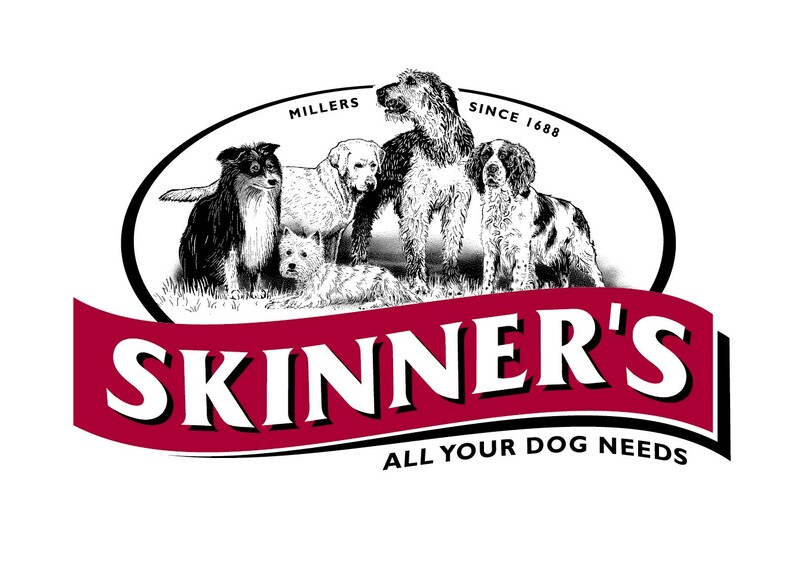 High levels of essential fats and oils help to maintain a healthy, glossy coat and ensure that your dog's skin is also kept in great condition. A mixed blend of cereals provides a good source of carbohydrate. A full balance of 27 vitamins and minerals promotes general good health. 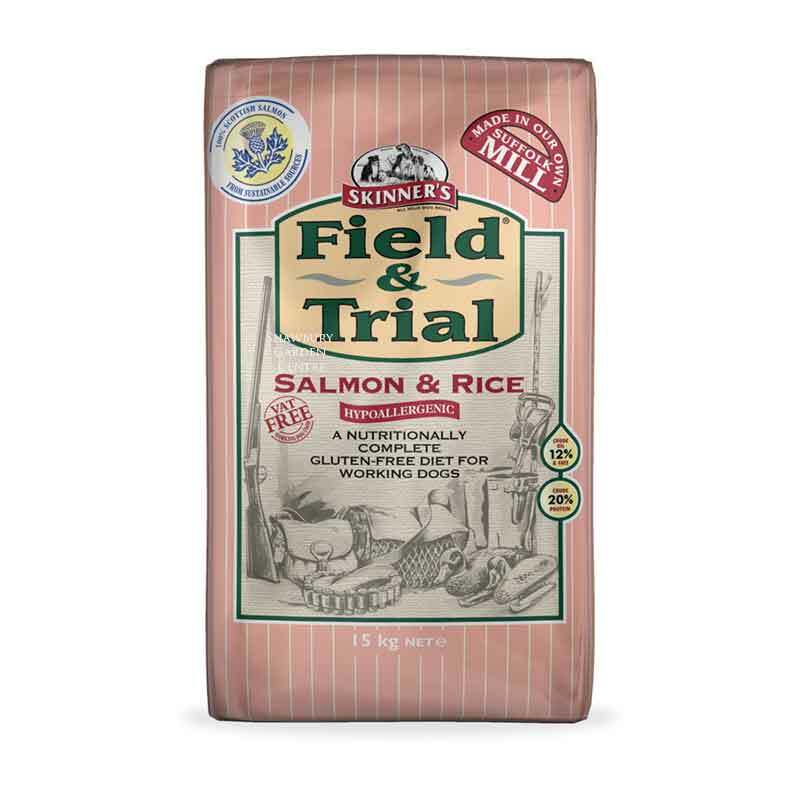 Whole wheat, maize, chicken meat meal, barley, chicken fat, beet pulp, vitamins, minerals and trace elements. Joint Aid supplement (2% comprising of glucosamine, chondroitin, collagen, MSM, glutamine, curcumin, oils & fats, beta glucans, oligosaccharides). If you would like further information about Skinners Field & Trial Maintenance Plus Dog Food, please contact our garden centre at Shawbury just outside Shrewsbury in Shropshire, by calling 01939 251315 or emailing.